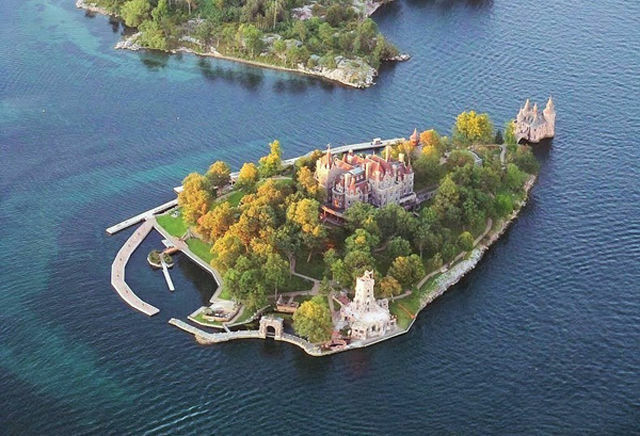 Thousand Islands is situated between the Canada-United States border and consists of 1864 individual islands. 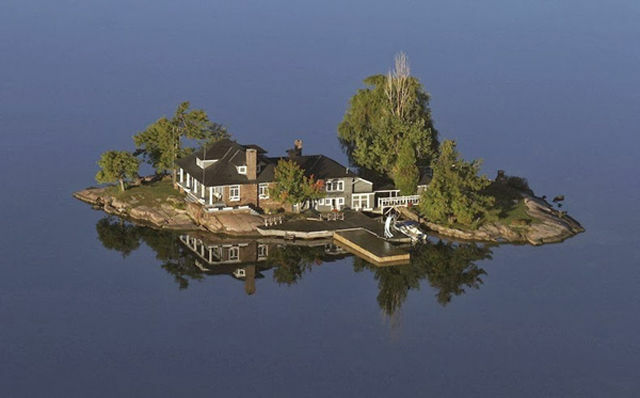 This scenic setting is a homeowner’s dream location! 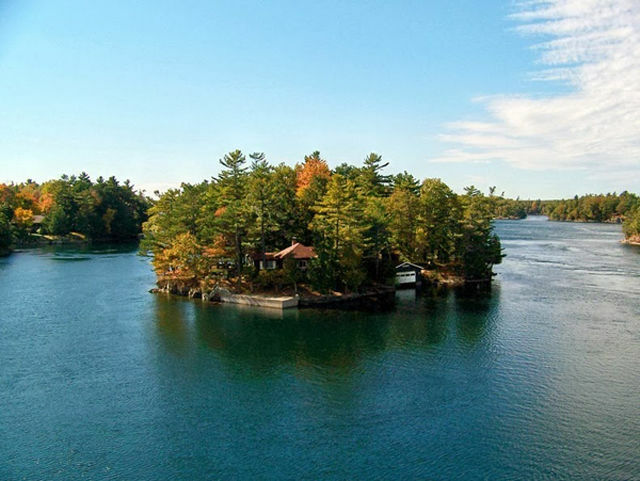 The islands stretch out for about 50 miles. 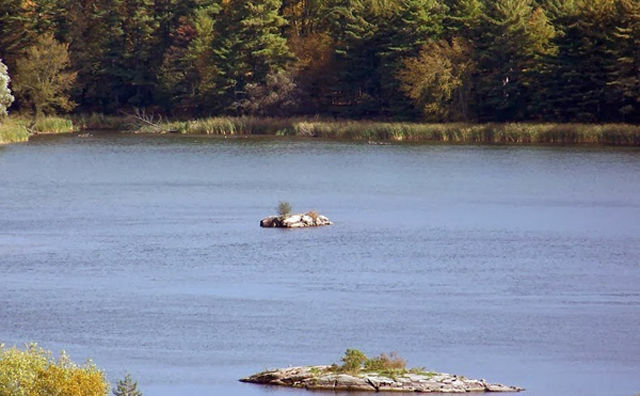 Some are as large as 40 square miles. 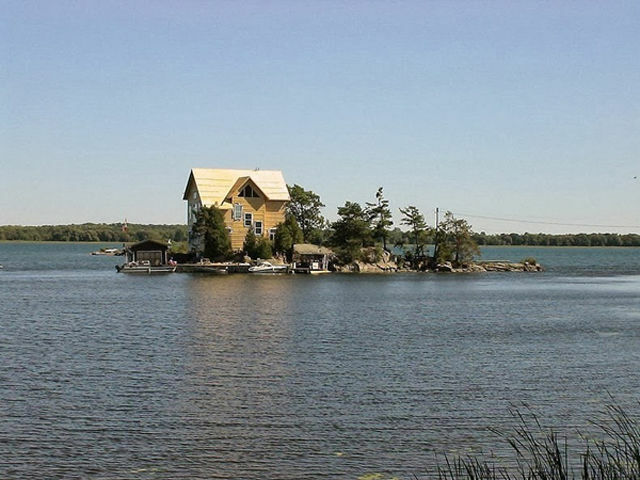 Others are small enough to only have room for a single house (as seen here with Just Room Enough Island). 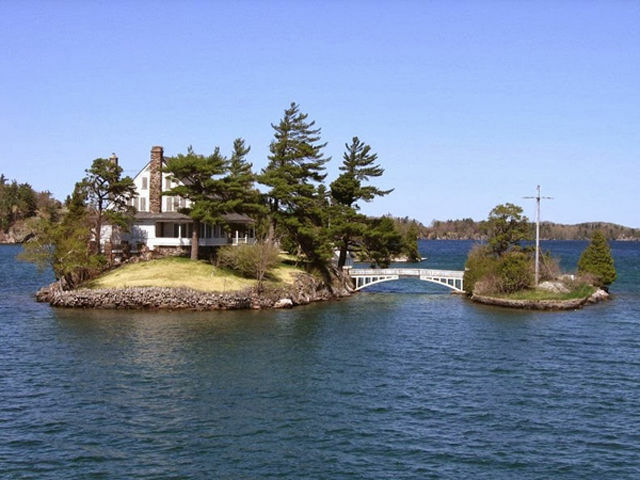 To be part of the “1,000 islands,” each land mass had to meet certain criteria. 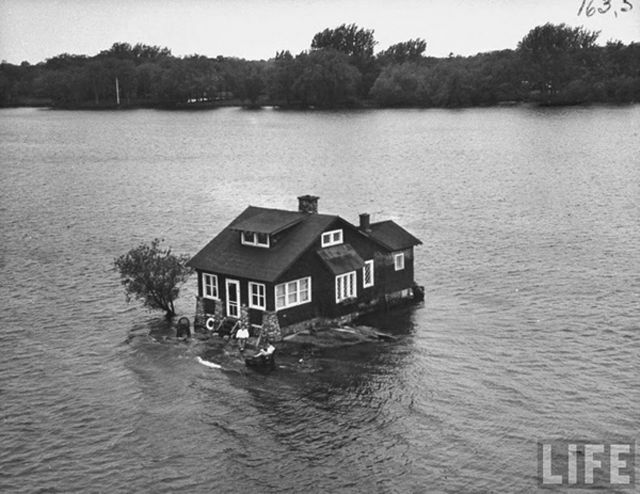 Any island must be above water level all year round, have an area greater than 1 square foot, and support at least one living tree. 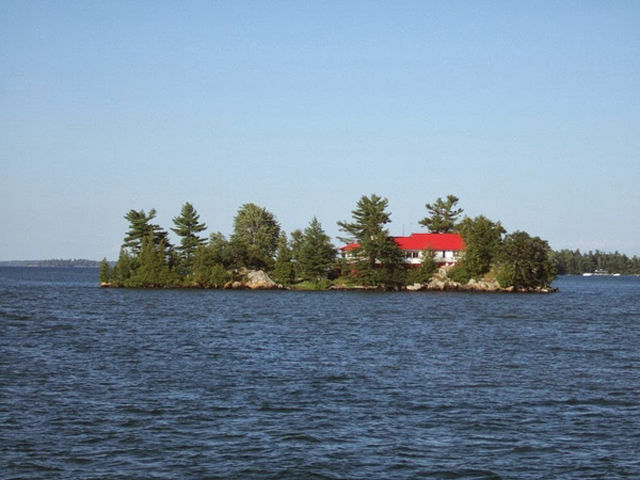 One of the biggest islands is Wolfe Island, which is approximately 18 miles long and 5 miles wide. 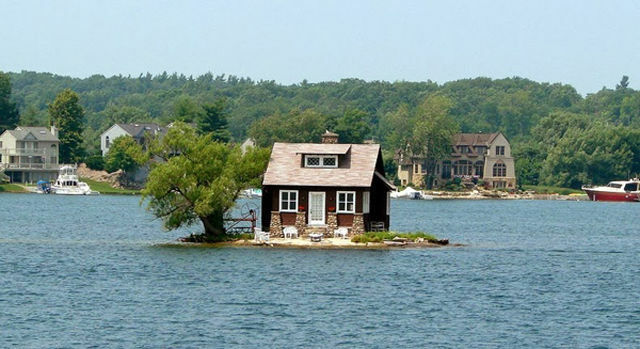 Not all of the houses that were build upon these islands look the same. 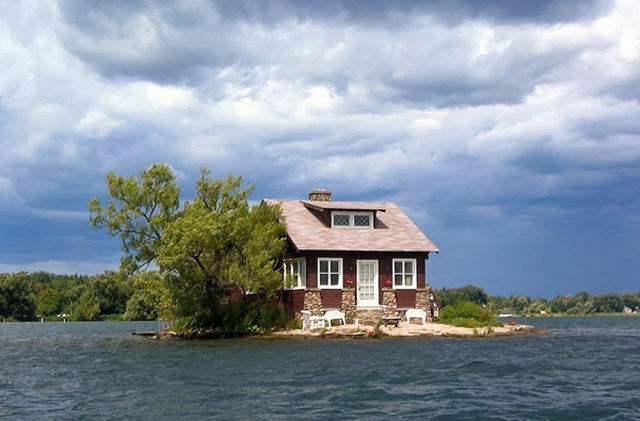 While others are cute cottages. A large number of the islands are inhabited. 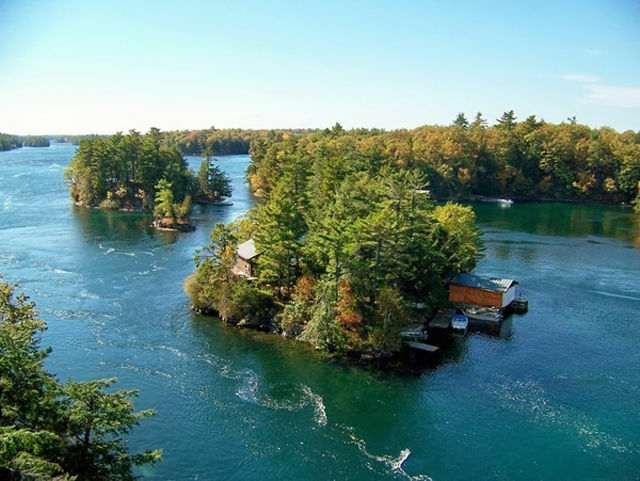 Most of these islands have hydro electric power and telephone service that are carried underwater from island to island. 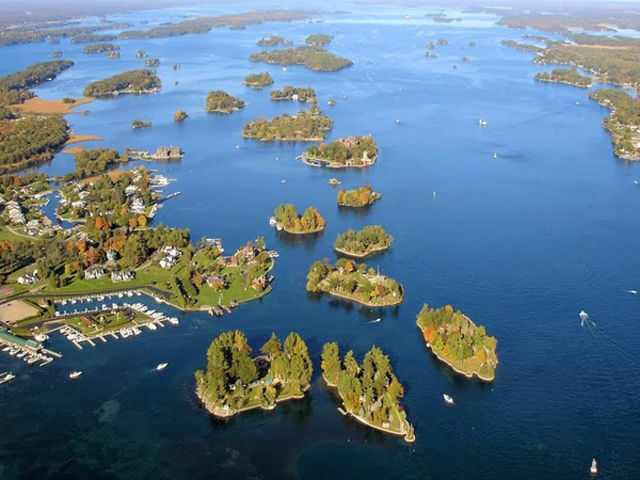 About 20 of the island form a group that create the Thousand Islands National Park, the oldest of Canada’s national parks east of the Rockies. 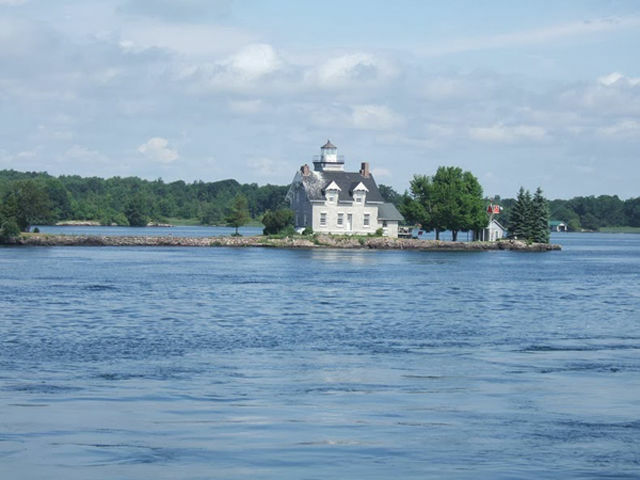 Whether you live in a castle or cottage, there is a ferry service that provides transportation back to the mainland.